Most small business owners would like to have the degree of flexibility and convenience that business credit cards can offer. Trying to find the best prepaid credit card for a business can be confusing, however. There are many companies that tout their cards, claiming that they are the best prepaid credit cards available. There are several key factors that business owners should consider before making their choices. One problem that some business owners have with getting credit cards for their businesses is getting approved for them. If the businesses have not been open for long, or the owners have marks on their credit, it may be hard to get approved for most credit cards. Applying for credit can also cause the credit score to drop. Many business credit cards also come with high annual fees and interest rates. The best credit cards are business debit cards. The best prepaid debit cards do not check your credit and will have no impact on your credit score. Since they are prepaid, approval does not depend on the length of time that you have been in business. The business Visa debit cards from Bento for Business also are available at an affordable monthly cost. You can select up to 10 of the best prepaid debit cards for your business for just $29 per month. There are no interest charges or high annual fees. Another key feature for business owners to look for in the best prepaid debit cards is whether they have features to help to prevent employee fraud and internal theft. It is an unfortunate fact that small businesses often fall victim to fraud that is perpetrated by trusted employees. Employees may use traditional credit cards to make purchases for themselves, to pay their personal bills or to draw money. Bento cards can help you to prevent all of these different types of common abuses. You can establish limits by the day or by the week on how much money your employees can spend with their cards. You can also establish specific types of spending that they can complete with their cards. If your employees try to buy something that has not been approved by you, the transactions will be turned down at the register. You will also be able to view all of your cards, their balances and for what your money is being used. If you see something that troubles you, you can immediately shut off an individual card with the click of your mouse or button. 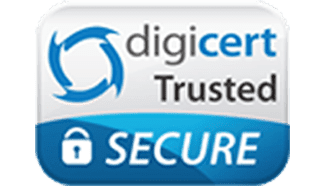 In today’s world, having the strongest security measures in place is vital to keeping your business safe. Bento for Business uses 256-bit SSL encryption for its cards, which is the same encryption level that is used by the largest banks. The cards are Visa®, which allows you to also enjoy the programs that they offer to their customers. Funds held within Bento are FDIC insured to at least $250,000 through The Bancorp Bank; Member FDIC. 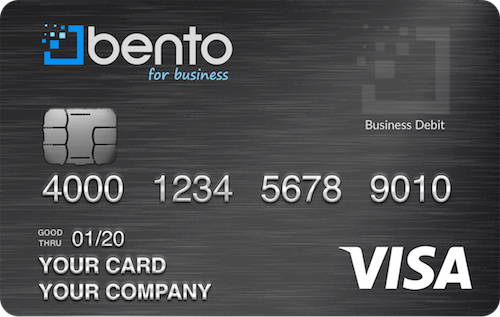 Bento for Business is proud to offer businesses Visa debit cards that are the best in the industry. New customers can enjoy free 60-day trials so that they can decide whether or not the cards are right for them. You can get started now online or call us at 866.220.8455 to learn more.